There are certain functions in the body that cannot be ignored. One of these is the desire to sleep. Most healthy people have the strong need to sleep at the end of the day after a hard day's work. This is a natural response that helps one recoup. Having a good sleep is a blessing. This is because of the fact that it helps one to re-charge the energy that has been lost during the day. If this energy has not been re-charged, it must be asserted that there are side effects that can be experienced. 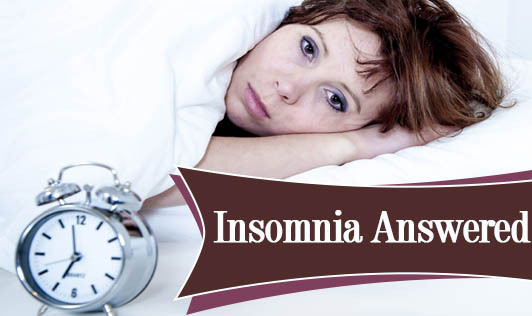 Some of the experiences as a result of insomnia can be dangerous. And therefore it must be said that it is a condition that should not be allowed to go un-monitored. There are two types of insomnia; Primary Insomnia, in which there are no health-related problems, and Secondary Insomnia that is caused by health problems. Health problems such as heartburn, depression, cancer, asthma, arthritis, medication, etc. often cause insomnia. Insomnia may last for any length of time, and it may last as long as its causal health problem lasts. Insomnia may last for a short while or it may go on for prolonged periods. In addition to this it may be intermittent, taking breaks and occurring every now and then. Acute insomnia can also be caused by a specific event that has upset a person. It can also be caused by illness, stress, external factor inhibiting sleep, such as lights on the room where one sleeps or too much noise around, and a change of work patterns. Generally, insomnia is diagnosed through the experiences of a person and how they explain it to a physician. Physically examining a person is also used. In some cases where insomnia is severe, patients can be simply observed to confirm their conditions. Advising a person on what they should do for better sleep at night is normally the first course of action for those suffering with insomnia. For acute or temporary insomnia medications are not recommended. However, in severe conditions medications are used. The effectiveness of these varies considerably, and in few cases they may not work well enough. Develop a regular sleeping time at night and also a fixed time for waking up each morning. Naps should be avoided because they tend to rob one of night sleep. Do not consume anything with caffeine of nicotine; these are stimulants that will keep one awake for hours after they are consumed. Alcohol too is another agent that disrupts sleep. Exercise regularly but not before going to bed. This is because exercise tends to pump one up, and keeps the blood pressure higher. It is recommended that one should not exercise within 3 hours before bed time. Should not eat a heavy dinner or anytime near sleeping time. This is because until the food is digested properly the body cannot rest properly. The activity of digestion is enough to disturb a person, especially if s/he is already having a problem sleeping. As opposed to avoiding heavy meals before sleep, it is recommended that one consume something light before bedtime. This helps one to get some sleep.